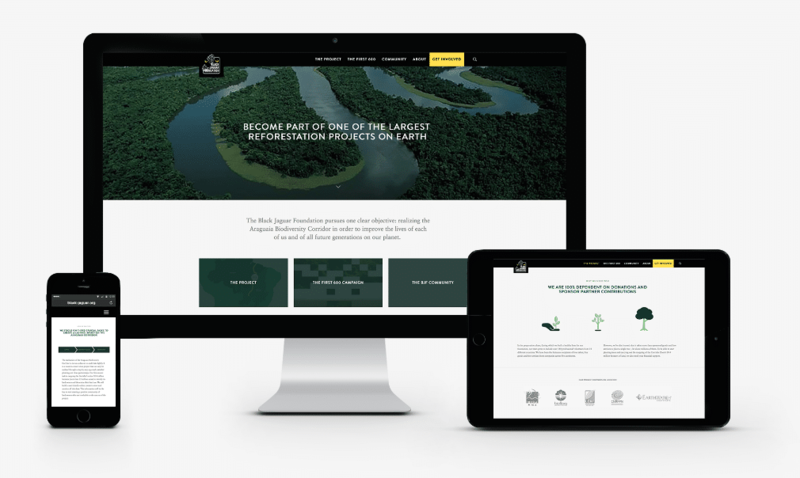 The Black Jaguar Foundation has launched a brand-new and remodelled website in January of 2018. The new interface is user-friendly and brings together field updates, a new campaign, insight in our Community, updated trailers in ten languages, Q&A’s, partner profiles and much more and can now be viewed all in one place, on any device. But more than that and thanks to your support, the launch of the new website marks the end of many years of our Preparation phase during which we built cases of first successes on all fronts. Now we can finally enter the Fundraising & Implementation phase! We have integrated our old campaign (TheLast600) into the new site and renamed it TheFirst600! Taking a more positive path, our new campaign is focused on the first 600 sponsors who are going to help us realize the longest nature corridor on Earth and one of South America’s largest reforestation projects. On TheFirst600 you will find a photo wall divided into 600 numbered pixels or windows. Clicking on a gray or deforested window allows you to sponsor that specific window for a period of two years. When a window is sponsored, its color will change from ‘deforested gray’ to ‘jungle green’. Moreover, each window will link to the profile page of each sponsor and comes with a unique URL and portrays you or your company: a great tool to convey your social and environmental commitment to your friends and clients.